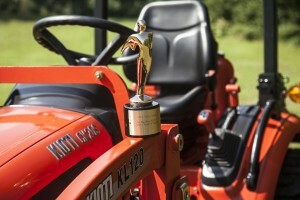 KIOTI Tractor and Howard, Merrell & Partners today announce their recognition as Bronze Telly Award recipients by the 34th Annual Telly Awards for their commercial spot, “The Magnificent KIOTI.” Each year, the Telly Awards recognize the best work in TV commercials and programs, video and film productions and online film and video. The Telly Awards are one of the premier honors to receive in the industry. 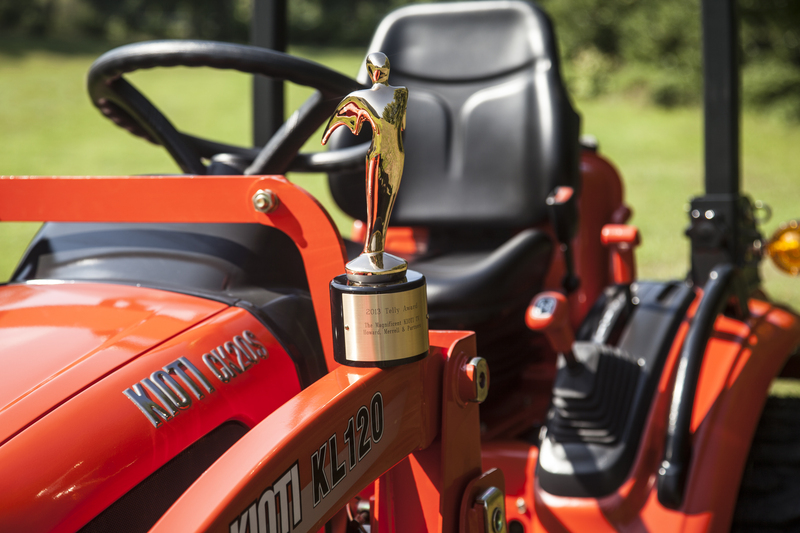 Each year The Telly Awards showcases the very best film and video productions, groundbreaking online video content, and outstanding local, regional, & cable TV commercials and programs. The Telly Awards receives over 13,000 entries annually from all 50 states and 30 countries around the world. Founded in 1945, Howard, Merrell & Partners is a full-service advertising and communications agency based in Raleigh, N.C. Agency services include branding, creative development and production, public relations, social media, interactive, media asset management, consumer insight research, event planning and management, and Hispanic marketing. Howard, Merrell & Partners is a pioneer in understanding and applying the power of human emotion to develop engaging business and communications strategies. Howard, Merrell & Partners has experience in a wide variety of industries, and has developed and executed strategic communications plans and programs for companies large and small. Recent clients include Aquatic Life, Bank Independent, BASF Plant Science, Butterball LLC, Carolina Hurricanes, CHD Meridian Healthcare, Cisco, Component Hardware Group, El Pueblo Inc., Food Marketing Institute, Georgia-Pacific Professional (Dixie® and enMotion®), Hewlett-Packard, Invacare, INVISTA’s CORDURA® brand, National Humanities Center, O2 Fitness, Oliver Twist Restaurant, ReSound, Safe Quality Food Institute, Solair Shade Solutions, Southwest Windpower, Texas Farm Products, and Zilla. Howard, Merrell & Partners’ work has been widely recognized at the local and national level. The agency has received numerous industry awards, including the Telly Awards, the Addys, Graphis, The London International Advertising Awards, Sir Walter Raleigh Awards, Hermes Creative Awards and The InSpire Awards. Visit us online at www.merrellgroup.com.